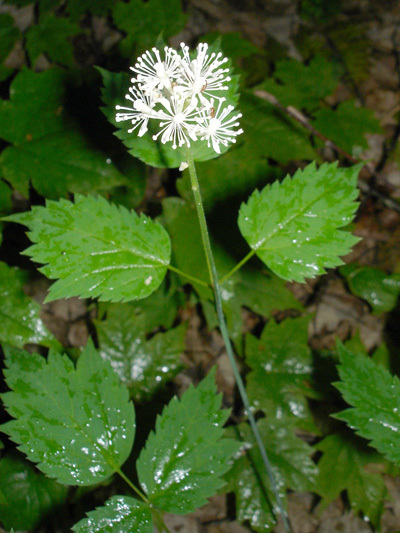 The spherical inflorescence of the Red baneberry looks like a flowery pompom. Red baneberry forms white flowers just like the White baneberry , their names result from the color of their fruits. To complicate things a little this species possess a variety with white fruit! Furthermore there is a hybrid resulting from the crossing of these two species with pinkish fruits. It is the most common of our Acteae.